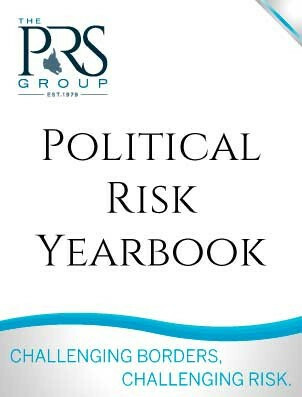 Order one or more regional volumes of Political Risk Yearbook. These individual volumes (available only in print) are North & Central America, Middle East & North Africa, South America, Sub-Saharan Africa, East Asia & the Pacific, West Europe, East Europe, and Central & South Asia. The countries included in each region are listed as "More Info" by each volume below. Published annually in January, every volume of the Yearbook is updated each year to include the latest Country Report for each country. Shipping/handling fees are applied based on delivery destination, and appropriate sales tax will also apply. SPECIAL NOTE: The full set of the Political Risk Yearbook (see separate listing) is available Online, in Print, or on CD-ROM.